The Teaching Assistant TQUK Level 3 Award (QCF) Recognised Qualification is for those looking to work as a Teaching Assistant / Classroom Assistant. If you like working with children and want to play a part in their education and well being, a career as a teaching assistant could be ideal for you. You'll need to have the ability to work closely with parents and teachers. You'll also need good literacy and numeracy skills, as well as creative ideas for activities when teaching children on a daily basis. To work as a teaching assistant or classroom assistant, you will usually need some experience or a qualification that is recognised such as a (QCF) Qualifications Credit Framework. This purchase is for the learning materials, with weekly 1:1 tutorial via Skype. Please note that the final assessment fee required for certification is not included in this price. You will need to pay for the assessment and certification of all four units. Payment of £80 is required for each unit after submitting coursework for assessment and certification. Study in a user-friendly, advanced online learning platform. Assessments are a great way of checking your progress allowing you to apply your learning to real-world situations. Through the Teaching Assistant Level 3 Certificate Course by TQUK, you will be assessed by a series of written assignments, which are submitted to and marked by your tutor. You will have access to a tutor, via email, who will mark your work and guide you through the course to help you prepare for your assignments. You will be provided with all course materials along with Podcast lessons in order to be guided through your course content. The podcast lessons enable you to watch your tutor and hear your tutor as you complete each unit. Full tutor support is offered throughout the course to ensure your learning outcomes are met to a satisfactory standard. Our TQUK Teaching Assistant Level 3 Award (QCF) Course is openly available to anyone wishing to learn more about becoming a Teaching Assistant and has a keen interest in the subject, plus an intention to progress a career. Preferably, you will have studied and completed the Level 2 Award Teaching Assistant (TQUK Level 2 Award in Supporting Teaching & Learning in Schools), but this is not compulsory. You must be over 16 to enrol onto the course, however, you should know that teaching assistants generally need to be aged 18 or over. 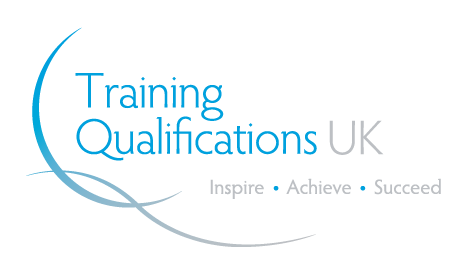 Our TQUK Level 3 Award in Supporting Teaching & Learning in Schools (QCF) Qualification is openly available to anyone wishing to gain a full recognised qualification as a Teaching Assistant and has a keen interest in the subject. I am a fully qualified teacher. Do I need this qualification to apply for positions as a Teaching Assistant? Hi, What will the total cost be for this course including the assessments at the end? Is this course a recognised qualification in schools? Do I need a placement in a school to do this course? We give you feedback that we expect to guide you and resubmit. As long as you are prepared to take on board the feedback and adjust your assignment in line with the feedback, you cant fail the course. You only pay once for assessment irrespectively of the number of times you resubmit the same coursework. I will be 62 years in march, do you think its too late for me to take this course, i have worked in health and social care most of my working life. Education and Training can never be too late at any time in one's lifetime. You have worked in the Health & Social Care for a long time and interestingly, there is a strong link between what you have previously done to what Supporting Teaching and Teaching in School entails. This means that you have lots of transferable skills that would be needed in our schools. You can pay per unit - at the point of assessing your coursework, £80 per unit (All-Inclusive). The total cost is £320 (for 4 units), which is for registration with the awarding body, assessment and certification. Please I have a degree from nigeria bsc industrial tech under faculty educucation.do I qualify to be a teacher in the UK?and is this course relevant ? This course is for Teaching Assistant and does not qualify you to be a teacher. So with this course can i work in a state school as a TA? And during this course do i have to be in placement/access to kids to complete my course? In order to answer your question, I would like to know the kind of kind you considering. Are you looking at working as a Teaching Assistant in a School or College? Or you are looking at becoming a Teacher? What is the last assesment and certificate fee? The price for the assessment and certification for all four unit is £320. You are able to pay at the point of assessing each unit.